How will you be using your boat? 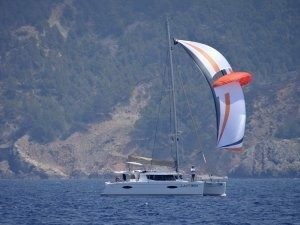 How many additional sails will you have in your inventory to cover the downwind gamut of situations from close reaching to broader reaching and variable wind conditions? Which choice will you make in reference to sail handling equipment, furlers, snuffers, and deck hardware? Power crafted to impress – be a leader on the Bay with a high-performance and luxurious Jeanneau Inboard Powerboat. Join Atlantic Cruising Yachts on Dock C at the United States Powerboat Show from October 11-14 for the opportunity to experience the incredible Jeanneau Leader 36 and NC 33. Buy tickets in advance online: Avoid long lines the day-of by procuring your admissions tickets in advance. Children ages 6 and younger are free! Driving and parking recommendations: For GPS purposes, the location of the show is 1 Dock Street, Annapolis, MD 21401; however, visitors are encouraged to park at the Navy-Marine Corps Memorial Stadium (Gate 5) from which a free shuttle will be provided to the show. Stadium parking costs $10. Other parking possibilities exist, but this by far the easiest option. Local accommodations: As the United States Sailboat Show draws incredibly large crowds it is imperative to make hotel arrangements as soon as possible if you are coming in from out of town. The Annapolis Boat Shows, the host of the event, has compiled a resource for finding local accommodations. If hotels are booked up, you can always try Airbnb or an overnight charter with Cruise Annapolis! Check the weather: Before packing for traveling to Annapolis, keep an eye on the weather forecast. When it comes to autumn on the Bay you never know if you’ll need a jacket or a t-shirt, and you surely don’t want to pack the wrong wardrobe! What to leave at home: According to the event host, no pets are allowed and strollers are highly discouraged for safety reasons. The Atlantic Cruising Yachts team will be exhibiting the North American debut of the Astrea 42 and Annapolis debut of the Ipanema 58 at our booth on Dock F1. Stop by to see these incredible Fountaine Pajot yachts and to participate in live Business Yacht Ownership® program seminars. Learn how it is possible to offset 80-100% of new yacht costs. The Cannes Yachting Festival kicks off on September 11, 2018, with the all-new Fountaine Pajot 67. The Atlantic Cruising Yachts team is on site, and CEO Chris Bent offers his advice on the best restaurants and boutique hotels in the region. La Palme d’Or is probably the best restaurant with a Michelin 2-star rating. It’s located at the Hyatt, which also has Zplage – one of the best beach clubs in Cannes with a great beach restaurant. Make sure to call for reservations. There are a lot of great places for shopping all around the area of the marina. Cannes is great for the glitz and the boat shows, but St-Tropez and Antibes areas, are really fantastic and still among the top travel destinations in the world. Antibes (pronounced An-teeb), and the old town located near the port, are about a 15-minute drive from Cannes. This breathtaking location has an old-world charm and smaller medieval streets lined with great cafes, restaurants, and shops. The beach is lovely, and the scenery around the port and the old fortress are worth seeing. There is a great Italian restaurant called Le Michelangelo which is frequented by movie stars. It is located on the main pedestrian street through the old town near the port, with inside and garden seating. I highly recommend a visit there. Being so close to St. Tropez, I would opt for a day trip or even an overnight there. This is the very best place in the world to hang out on a yacht or enjoy the quaint, picturesque town of St. Tropez with its beautiful harbor, very nice shops, and great restaurants. The surrounding area is the Rosé wine capital of the universe. This is the dry Rose that is a must on hot sunny days by the water. Worth visiting one or two for tastings, Chateau Minuty is a fantastic vineyard close to St Tropez. About 20 minutes outside of town, on the coast in the beach town of Gigaro Plage, is a lovely boutique hotel on the beach called La Pinède Plage. They have a fantastic beachside restaurant, and the hotel is associated with the Château de Valmer (part of the luxury Relais & Chateaux group) located within walking distance up the hill, which has its own fantastic restaurant, La Palmeraie in the garden featuring authentic Provence cuisine. If you’re able to visit this beautiful part of the world during the Cannes Yachting Festival, my team will look forward to seeing you at the Fountaine Pajot display. 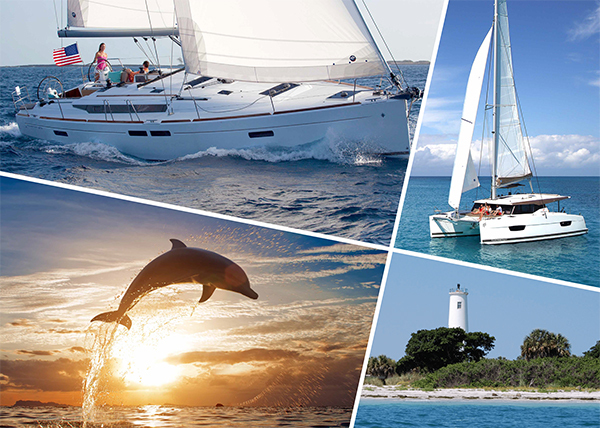 You’ve purchased your dream Jeanneau or Fountaine Pajot yacht. The Business Yacht Ownership® program helped you discover the most cost-effective route to yacht ownership and you’ve decided to place your brand new vessel into charter. For many owners, the clear blue waters surrounding The Abaco Islands are an excellent choice. Irrefutably breathtaking, sensationally luxurious, and highly visited, The Abacos are an idyllic location for your yacht to call home. Stretching 130 miles, The Abacos are a group of islands dotted with bays and coves. Specifically located at the Great Abaco Beach Resort in Marsh Harbor, Cruise Abaco is the premier charter experience in the Bahamas for guests seeking a vacation balanced between relaxation and exploration. Guests choose to charter in The Abacos for its picturesque sunrises and sunsets, other-worldly scuba and snorkeling experiences, and island culture. According to the Bahamas Ministry of Tourism, over 90% of visitors to the Bahamas recommend it to friends and family¹. As a yacht owner seeking to offset the cost of your vessel, placing it into charter at a location that attracts tourism without having to try, and has a lengthy charter season, is a no-brainer.